Daily reflections on gratefulness in our lives. Because of the imminent arrival of Hannukah, the entire Jewish month of Kislev, the current Jewish month corresponding this year almost completely with December, could be regarded as a month of miracles. The concept of miracle is embedded in the very celebration and meaning of Hannukah. The spectrum of the miraculous stretches from the turmoil of the battlefield and the heroism of the Maccabees to the serene silence of the sanctuary and the piety of priests where a cruse of oil expected to remain lit for only one day continues its illumination for eight days instead. When considering these two popular explanations of the miraculous, my sense of gratitude is rekindled by the recognition of all of life's core reality of wonder and miracle. Hannukah opens my heart to the warmth and contentment inherent in human celebration and religious ritual. In considering the many dimensions of the miraculous, Hannukah is an opportunity to direct our heartfelt attention and mindfulness to that which elevates our sense of wonder at this time. Each of the eight days elicits a sacred time frame for meditating on the miraculous. Through the tale of Hannukah, its ritual of candle lighting, its foods saturated in oil,its recreational activities designed to enhance the participation of children, and Hannukah presents-an American offshoot of the custom to share Hannukah gelt(coins) used in these play activities- a web of wonder and warmth is spun which enfolds the hearts and minds of all celebrants. As Hannukah arrives, I look forward to sharing some responses of gratefulness for the richness and beauty of Hannukah's sensuousness and symbolism. 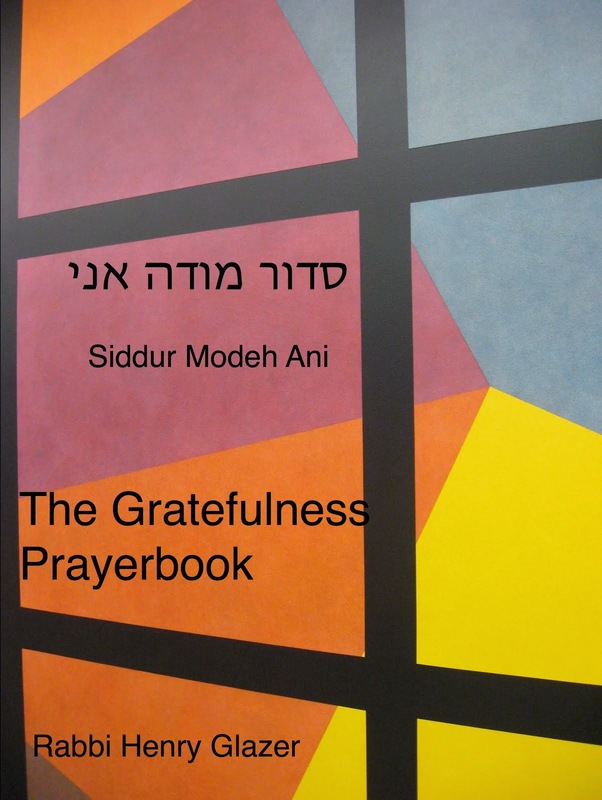 "The Gratefulness Prayerbook: Siddur Modeh Ani"
To purchase my newly released siddur (prayerbook) click here. 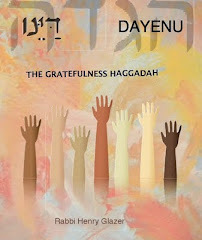 Click here to purchase a beautiful, hardcover version of my Haggadah "Dayenu". I've also made available a free PDF version that you can find on my site. You can also download it from JewishFreeware.org. I encourage you to incorporate it into your seder so that you may have an especially grateful Pesach! 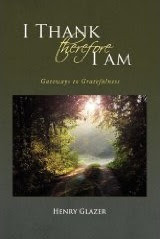 "The Sabbath: A Day of Gratefulness"
To purchase this book, click here. You can also download a free PDF version here. 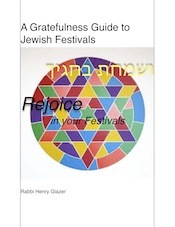 "A Gratefulness Guide to Jewish Festivals"
"I Thank Therefore I Am: Gateways to Gratefulness"
To purchase the revised edition of my book, please visit Amazon, Barnes & Noble, or Xlibris.com. GRATEFUL FOR THE SABBATH AND THE SEVENTH LIGHT. GRATEFUL FOR THE TWO LIGHTS. - "'Behold I Am Like A 70 Year Old Man': Madness Or Mystery - A Midrash on a Midrash", Conservative Judaism, Winter 2012, vol. 63, no.2, p.100-105. 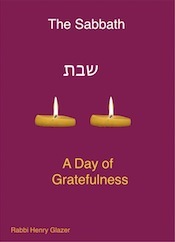 - "In Praise of Gratefulness", The Jewish Standard, February 13 2009. - "Spiritual Retirement - A Jewish Guide to Making Retirement Meaningful", United Synagogue Review, Spring 2007. This work by Henry Glazer is licensed under a Creative Commons Attribution-Noncommercial-No Derivative Works 3.0 United States License.